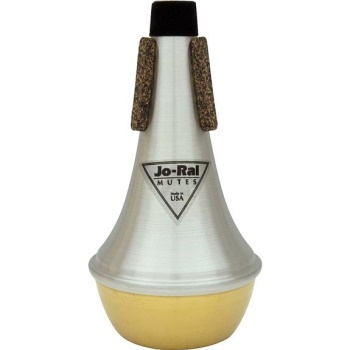 Jo-Ral straight mutes are a favorite of players at every level, from jazz players to symphony musicians. These free-blowing mutes provide excellent intonation and are available in a range of materials to achieve varied and distinctive sounds. In addition to the unique cork pads, Jo-Ral straight mutes feature a felt cap that prevents scratching the instrument.